"There are many regions in our world, both Australia and overseas, where veterinary services are very difficult to come by. I’d like to help change that. I believe all animals are valuable and all animals should have access to veterinary care. I work at Howard Springs Veterinary Clinic in the Northern Territory, Animal Referral Hospital in Sydney and in various remote locations in Australia and overseas. I'd like to share with viewers not just my days in state-of-the-art clinics, but also what it’s like to bring vet services to more remote areas and developing regions. My other passion in life is dancing. In my spare time I am usually in rehearsal or on-stage performing. There are days when I’m in the vet clinic and have my serious veterinarian face on, but I’ve still got glitter through my hair from yesterday’s show! " Barnaby and I love Amy, from scrubs to leotards. This girls got pizazz! Does anyone say that anymore? Amy looks after 2 year old Miniature Schnauzer Barnaby. She's forthright, open and charismatic. Perfect candidate for the next Bondi Vet. 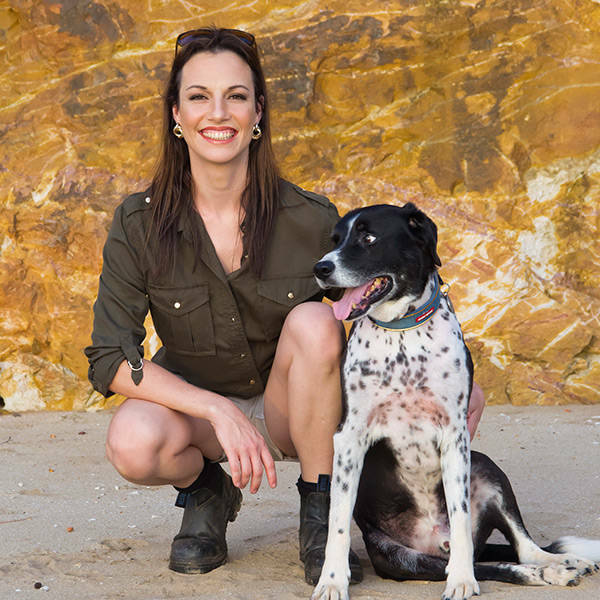 Vote #1 Amy Hardwick - you couldn't ask for a more charismatic and collegiate role model to fill the shoes at Bondi Vet with experience in Sydney, Fiji and the NT to boot! Amy is a vibrant, enthusiastic, broad thinking, open-minded, give-anything-a-go person. She is definitely not your classic vet - in so many wonderful ways. With that she is also very intelligent and compassionate and caring with both people and animals. I have known Amy since she was at school with my daughter and I couldn't think of a finer person to fill the large shoes of Dr Chris. She is a warm, caring, intelligent person and vet. She is a born performer and a fantastic candidate for the position. Such a kind passionate college who always had time to say hi before saving lives as an emergency vet! Still miss working with her to this day! When you have a furry companion & your love for your dog is unconditional, you want the best for them. For my dog Archie, that's Amy! Amy provides the same love & care that I trust and her knowledge is exceptional. Without a doubt, your next TV Vet sensation, AMY! This woman rocks on so many levels. She has an eclectic mix of talent and personality that covers entertaiment and professonalism. Her background is so broad, she can connect with any person and animal. She's the whole package and more. Best personality, really does care about he work! A real genuine person. Amy is an amazingly kind and generous. She loves animals and is a great vet. I'm extremely paranoid about my fur-baby and she is always reassuring and patient with my crazy questions. She'd make a great vet for TV, she has fantastic storytelling skills and is charismatic.